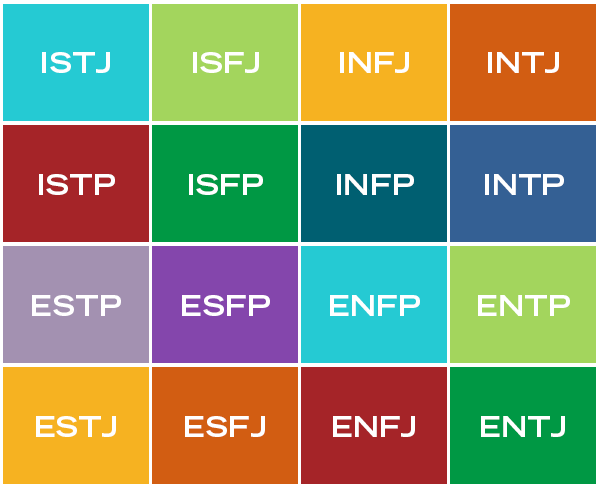 The Myers-Briggs Type Indicator (MBTI) is a personality assessment tool used in nearly all Fortune 100 companies. It has been taken by an estimated 50 million people across the world to better understand individual personality preference. The purpose of the tool is to make psychological theory and type understandable and applicable in personal and professional life. It is particularly useful in leadership and team development as individuals learn how to better understand themselves and work with others. The MBTI measures a person’s preferences on four continuums and assigns one of 16 personality types that provide greater in-depth understanding for personal and professional development. According to the Myers-Briggs Foundation, "perception involves all the ways of becoming aware of things, people, happenings, or ideas. Judgment involves all the ways of coming to conclusions about what has been perceived. If people differ systematically in what they perceive and in how they reach conclusions, then it is only reasonable for them to differ correspondingly in their interests, reactions, values, motivations, and skills." The theory of psychological type was introduced in the 1920s by Carl G. Jung. Isabel Briggs Myers developed the MBTI tool in the 1940s, and the original research was done in the 1940s and 1950s. This research is ongoing, providing users with updated and new information about psychological type and its applications. The Ogden SBDC at Weber State University is pleased to not only provide an opportunity for small business leaders and teams to take the MBTI and receive in-depth training by a certified trainer at no or a low cost, but also receive free personalized coaching based on assessment results.